KINGS RIDGE 55+ GOLF COURSE COMMUNITY IN CENTRAL FLORIDA. 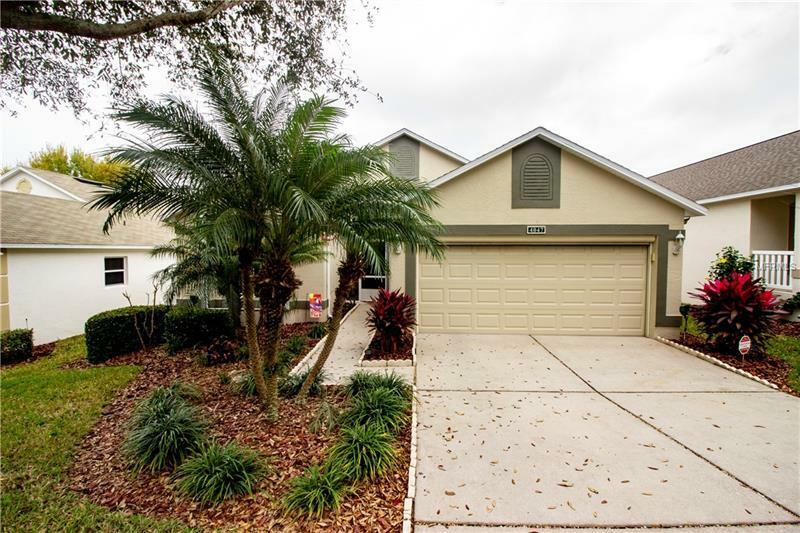 THIS DESIRABLE IMMACULATE/BEAUTIFUL UPGRADED CANTERBURY FEATURES AN OPEN FLOOR PLAN , VAULTED CEILING, 2 BEDROOMS , PLUS A DEN THAT CAN BE USE AS 3 RD BEDROOM OR OFFICE. NEW A/C WITH WI-FI THERMOSTAT IN 2016 WITH TRANSFERABLE WARRANTY , NEW ROOF 2016 , LOW E WINDOWS & SLIDERS WITH TRANSFERABLE LIFETIME WARRANTY IN 2014, NEW DISHWASHER 2015, NEW WATER HEATER 2018, HURRICANE SHUTTERS, UPDATED MASTER BATH WITH DUAL SINKS. NEW CARPET, TILE FLOORS, UPGRADE LAMINATE FLOORS IN BEDROOMS. NEW FANS LIGHT FIXTURES AND ALL DOOR HARDWARE IN BRUSHED NICKEL. MAPLE CABINETS, , GRANITE COUNTER TOP WITH BACK SPLASH, SOLAR TUBE LIGHT IN KITCHEN. ENCLOSED LANAI , SOLAR ATTIC FAN, MOTORIZED GARAGE SCREEN. ORANGE TREES IN BACK YARD. HOA'S INCLUDE USE OF MULTI MILLION $ CLUBHOUSE , 24 HOUR GUARD GATE, PAINT YOUR HOUSE EVERY 6 YRS, BASIC CABLE, HOME PHONE, INTERNET. 3 PPOL, SPAS, FITNESS CTR, TENNIS, PICKLE BALL, BALLROOM DANCES, PLAYS, TRAVEL CLUB, BINGO, MOVIE NIGHT, GAMES, CLUBS, LIBRARY, BILLIARDS. COMPUTER CLASSES. ACTIVITIES TO KEEP YOU BUSY DAY AND NIGHT. TAKE A DAY TRIP TO DISNEY, SEA WORLD, UNIVERSAL OR THE BEACHES. LESS THAN AN HR DRIVE TO ORLANDO AIRPORT. COME LIVE THE GOOD LIFE IN CENTRAL FLORIDA. A MUST SEE THIS ONE WONT LAST LONG. CALL NOW.